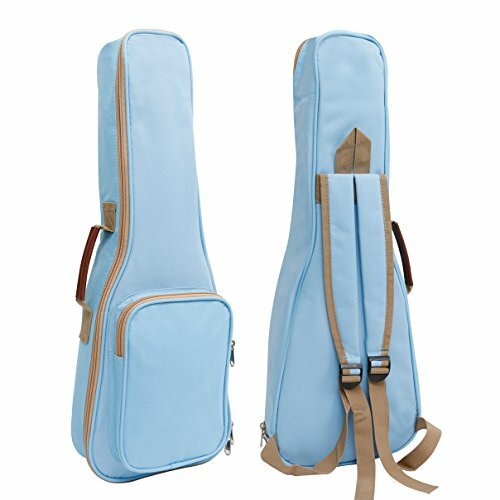 ✔ PERFECT ADAPTATION - Size 21in ukulele case: Length 55cm* Width 20cm* Height 7cm suitable for soprano ukulele. Please Check The Size of Your Choice!!! ✔ STRONGER PROTECTION - Water repellent exquisite fabric thickness 10MM cotton added for protect. Leather handle double metal zipper. ✔ PORTABLE DESIGN - Backpack Shouldes Design It Uses High-density Woven Comfort Material. Separate Big Pocket Can Accommodate Many Small Accessories.